Under review today is the MP-P1 phono stage from Musical Paradise, of Edmonton, Alberta (Canada). 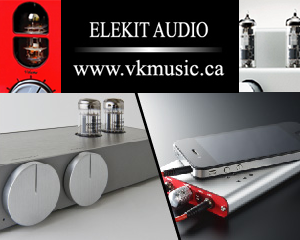 Their first phono preamp offering, it has both MC and MM inputs, the MC stage utilizing a JFET amplification circuit in addition to the preamp vacuum tubes used in the MM section: four 12AX7’s in this case. This phono amp is designed in Canada, built in China, and retails for $599 + shipping. Musical Paradise follows the increasingly common business model of selling directly to end users- there are no distributors, dealers, or marketing hype to add to the final cost. While I won’t pretend that “I’ve heard them all”, I have had a number of budget phono preamps over the years – as well as some higher-end/pricier units. “Budget” is a relative term in audio; the phono stages I’ve owned include Hagerman Technology’s Bugle and Cornet kits, the Super It from Moscode/New York Audio Lab, the Gram Amp from Graham Slee Designs, both the 540p and 640p from Cambridge Audio, the excellent LP2.0 from Jasmine, the original PH1 by Audio Research, and others. All of these came in at or below $500, new or used. Many of them, of course, were solid state – it’s not easy to build a great-sounding, quiet tube phono. Apart from stand-alone models, I’ve also had some decent preamps with phono sections, that could be valued in the same price range – these included ARC, Cary, NAD, Creek, Rotel, Rogue, and Aragon. On the higher end of the scale I’ve owned stand alone phonos from Counterpoint, BAT and Benz-Micro. So I’ve had a few references at different price points. Getting the above context out of the way allows me to summarize, for you impatient readers who need the bottom line: the Musical Paradise MP-P1 is in many ways the finest phono stage I’ve ever used, that didn’t retail for $2000 +. In fact, at $599, this baby is an exceptional value, like every other MP product I’ve come in contact with. But even moreso. I’ve already bought the review sample – it fits my budget, and I intend to keep it long term. When Garry Huang, MP’s head honcho, sent me a DHL Express tracking number late on a Monday afternoon, which indicated that the review sample had just left Hong Kong, I wasn’t expecting it to arrive at my door less than 24 hours later. Your mileage may vary, I think I may have just been lucky with the schedules. Sixty bucks in brokerage fees later, the DHL man was happy and I was lugging a substantial box back up the stairs. Double-boxed, very well-packed. Check. Fit’n’finish, build quality – appear to be very good. Power cord (IEC type) is included, but no owners’ manual. I’m told all documentation can be found online at the MP website. Garry’s forum is also a great source of current information and tips. While there may not be a truly novel ‘new’ circuit inside, it’s nice to see a solid chassis, with a tidy layout and some premium parts, like the chokes and the Obliggato film capacitors. Obviously I was eager to hear the ‘P1, and I fired it up using the classic Thorens TD124 I had in for review, fitted with a SME 3009 S2 arm and Nagaoka MP-20 Moving Magnet cartridge. I spun a few Decca SXL reissues, a Bruce Cockburn original, and a few other familiars. With no hours on it, and a cartridge newly borrowed from a friend, I was quite impressed. This thing made music sound real – full, natural, and dynamic. The frequency extremes were extended, very nice. Being somewhat unfamiliar with the sonic signature of the MP-20, it seemed to me that the P1 was showing it up, to some extent. There was a slightly artificial quality to the sound, and after a half dozen sides I decided to mount the venerable Denon DL103, my favourite budget cartridge, and one of my favourite moving coils regardless of price. Well, well, it turned out my hunch was correct. To say that my living room was instantly transformed would not be an exaggeration. All the positive attributes remained; the noise floor also remained very low; and I was now hearing the natural beauty of instruments and voices on a level I’ve not often experienced in my system. No, not the ultimate phono magic that I’ve ever experienced, but very, very, very good. Smiles abounded and record after record went into the queue. Don’t you love it when a piece of gear is introduced and inspires you to listen to all your music again? Yes, that was one of those days, indeed. Needless to say, the Denon stayed in. But after only a couple of weeks, and with only about 50 hours on its’ clock, life reared its’ head and the MP-P1 began to become neglected, along with my music and my website, as I had to start preparing for a midsummer house move. Soon my entire system was packed up, as were my records. This was a logistically challenging, and exhausting move, with my girlfriend and I leaving the big city and combining two households into one. All told, it knocked my schedule off by about two months, which was more than I had planned for, and for this I do apologize. Standard features include adjustable loading of each channel discretely, universal voltage switching, a DC power option for the MC section, and the ability to connect two cartridge sources simultaneously. It would have been nice to position the source selector on the front panel. The bottom line here is that I’m just finally getting back to business, and rather than delay publishing until this review is complete, I wanted to post the first part now. My impressions of the MP-P1 are all resoundingly positive – as I said, when Garry offered me the opportunity to buy it, I did! And I haven’t even started to explore the DC power option, tube rolling, aftermarket power cords, isolation tweaks or anything else, yet. Come to think of it, I haven’t even popped the hood for a look inside yet! What I can say is this. Bone stock, this phono performs beautifully in both its’ MM and MC modes. The sound is full-bodied, natural, and highly detailed without being fatiguing. Differences in the sonic signatures of various cartridges are made clear to the listener. I’ve used very moderately priced cartridges so far ($200-300), and the P1 makes it obvious that it’ll play with more upscale company as well. And I do plan to push the limits, with a more refined cartridge, or two. Not to mention upgraded tubes, and Battery power for the MC amp section. Is it possible that I’ll uncover some flaws in more extensive future use? It is possible, but not likely that my recommendation will change. While I haven’t heard them all, I’d say anyone looking at phono amps in the $500-1500 range should look seriously at this one. It’s a beautiful piece, and a bargain to boot. To do the MP-P1 justice, I will follow this review up with a long-term report, in about three months’ time. Thank you for the great review. I am just entering in to tube realm, having purchased an MP-301 MK3 amplifier (arriving next week). Given that the MP-P1 is right at my price point, this is the stage that I will go with. I trust that the Musical Paradise amplifier and phono stage together with make for some beautiful music. Thanks for the comments, Chris. Apologies to readers that I never wrote the follow-up piece – I did make a number of comments on the Canuck forum. I kept the MP-P1 about a year and then moved on (lack of space). I still miss it though. Great preamp.